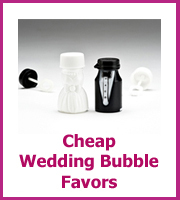 Your cheap wedding favor can be traditional or unique, it is your wedding so which would you prefer? 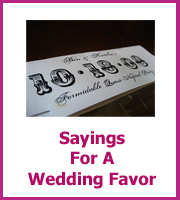 Which would fit the theme of your wedding or your personality? And what fits in with the budget? 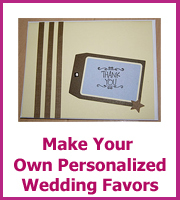 Your wedding favor will be a thank you to your guests for sharing your day but it doesn't have to be an expensive cost nor will it look cheap. 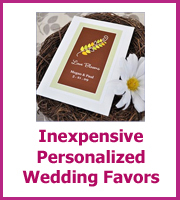 Wedding favors have changed over recent years, as recent as 10 years ago sugared almonds were the most popular wedding favor I would see at weddings, it was almost as if it was expected. 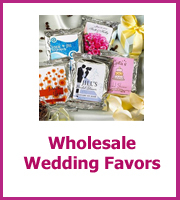 Now, wedding favors can be almost anything, those I am seeing a lot at the moment are yummy candy, seeds, candles and bath items. And candy buffets are massive, more on those later! 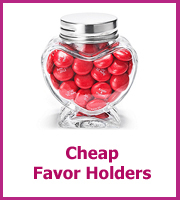 15% off your M&M favor order when you spend over $100 use MYPARTY15 as your code. 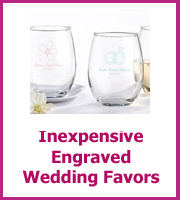 One big thing before you have a look at all of these lovely cheap wedding favors is that although favors are a nice idea they are not necessary to make your wedding a success. Nearly every wedding I have worked at we are collecting favors that have been left at the end of the night, these we box up and return to the bride and groom but it does seem such a waste of money. 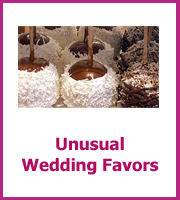 If you want traditional favors then you can't beat sugar-coated almonds or Jordan almonds for a sense of history. The tradition originated from Italy where they were given to honor engaged and newly married couples, the idea is to give 5 almonds to represent happiness, longevity, wealth, children and health. Look to buy your sugar almonds from a sweet shop rather than through wedding shops as they will charge more. 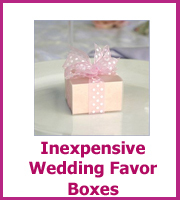 Shop around for a cheap wedding favor box and you have your favor. 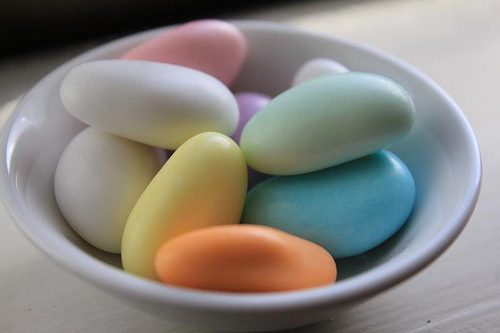 Remember that sugar-coated almonds can be quite large so you will need a wedding favor box that will fit and it helps to get friends in to help put the favors together, it is a great chance to catch up! 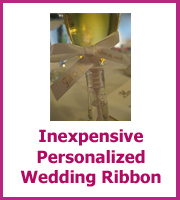 If you wanted your favor in a bag then you could look at buying some tulle from a material shop, cut into circles and tie with your theme colour ribbon. 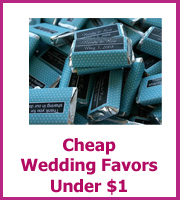 The biggest trend with edible favors at the moment is the relatively inexpensive candy buffet and by relatively inexpensive that completely depends on how much candy you buy! 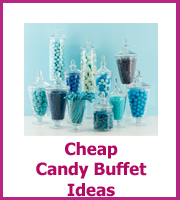 You can set up your own candy buffet, you will need containers for the candy - vases, jars, bowls or anything that fits with your theme. 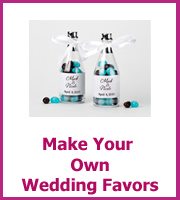 Then you will need candy, you could have candy that matches your wedding colors or go with all of your favorites - that way you know you will enjoy them after your wedding if they don't all go! As well as the candy buffet you could also have a cake, dognut, cookie, muffin, or anything buffet! 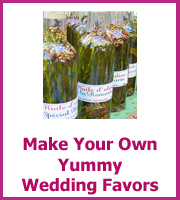 When you choose a diy wedding favor go with what you are good at! If you are good at cooking then you could share one of your best recipes with a sachet or spices or herbs for your guests to cook at home. 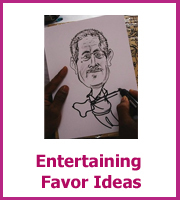 You could add a funny note asking for an invite when they do! 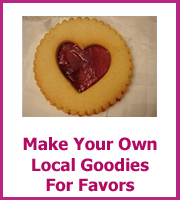 Or you could bake everyone a cookie or make them a chocolate brownie! Just don't go with a recipe that you have to bake the day before. Try and find something that you can freeze ahead of your wedding day. 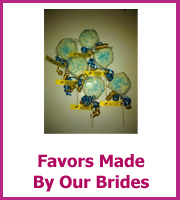 The last thing you want to do is panic about cooking 100 favors before your big day! You could also paint a mini watercolor or create a mini cross stitch. 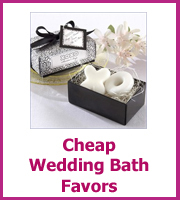 Fill mini jars with homemade bath salts is another more unusual diy cheap wedding favor idea, all you need are salt crystals which you can buy in bulk from some of the larger stores and essential oils. Mix the salt with the essential oil, 16 oz of salt will need about 15 drops of oil to give you an idea of how much you need. When you have mixed it all together you can place it in small jars, seal them with the lid and tie a pretty ribbon around the jar. 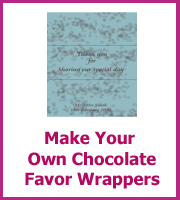 You could also use paper cones or mini envelopes filled with the bath salts. Having a favor centerpiece is a clever way to save money on your decorations as it means that you are getting two uses for one price! 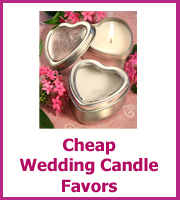 You can use these type of centerpieces as your wedding reception table decorations or as a stand alone display. 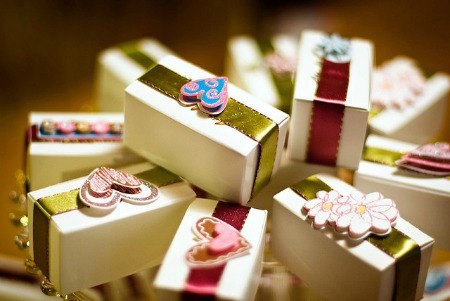 A pile of favor boxes in the middle of the table can look stunning, use a cake stand to give them height or a cheaper way would be to place a box in the middle of the table and then put a slip cloth over the top to cover the box. 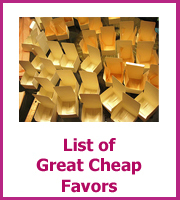 You could put several small boxes of different heights to add more interest to your centerpiece display. Cheap wedding favors are not just in pretty little boxes or bags, instead you could use plants as your centerpiece and then have them as your favors as well. Rather than one big pot plant, have enough for one for each guest or couple and create a miniature garden on each table. Vases of flowers could also be used as a favor centerpiece - if you are having a vintage wedding theme then you could use vases that you have found at thrift stores, sure they won't all match but that will add to the charm. 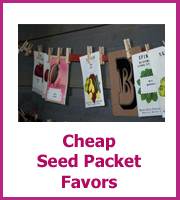 Have your guests names tied to the vases and if you have some money left over you could attach a packet of seeds of the same flowers so your guests can grow their own. Buying vases can get expensive so you could use bottle or jars as the vase. 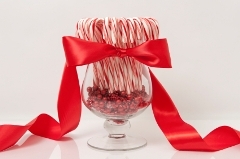 These you could decorate by tying a ribbon or a piece of lace around the jar. A classic Martha Stewart centerpiece uses vintage tea tins as vases for a centerpiece and if you are as lucky as her in finding stunning pieces for nothing then this could be a winner for you! Candy is playing a big part in wedding decorations at the moment with a candy buffet a popular favor idea for all guests to enjoy. 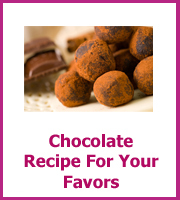 You could also look at having a candy centerpiece, this could be a pyramid of chocolate truffels or a beautiful glass jar filled with candy. 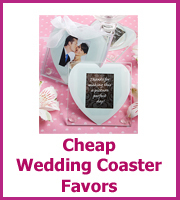 Photo frame centerpieces are also a great favor as well. You could have a frame for each couple and if you can it would be very cute to have a photo of you and that particular guest for each of them to take away. Love poems and quotes also look great in frames as centerpieces and this would be a sweet, romantic favor for your guests as well.